THE ARROWHEAD AREA AGENCY ON AGING FOSTERS INDEPENDENCE FOR OLDER PERSONS THROUGH THE DEVELOPMENT AND COORDINATION OF COMMUNITY-BASED LONG-TERM CARE SERVICES. The Arrowhead Area Agency on Aging distributes Title III funds authorized by the Older Americans Act to help community-based agencies provide quality, comprehensive services for older adults and their caregivers. Sign up to receive updates about Title III Older Americans Act 2020 funding opportunities. The Older Americans Act (OAA) was signed into law on July 14, 1965. The original Act created the Administration on Aging and authorized grants to states for community planning, services, research, and demonstration and training projects in the field of aging. Later amendments provided grants to area agencies on aging to identify local needs and for planning and funding of services. Services funded are to (1) help older persons secure and maintain maximum independence and dignity in a home environment, (2) remove barriers to independence for older persons, and (3) provide a continuum of care for the vulnerable elderly. The Act was reauthorized and amended in 2000, at which time the National Family Caregiver Support Program was established to support family, friends and neighbors caring for older person as well as for grandparents and other older relatives caring for children. Who is eligible for funding and how is the funding used? Through a competitive process, the AAAA awards nearly $1.5 million in federal and state funds annually. Eligible applicants include public and private non-profit organizations and units of government interested in developing, continuing or expanding services for older adults and family caregivers. For-profit organizations are granted funds only after dispensation of a waiver from the Minnesota Board on Aging. Title III-B Supportive Services funding is used to fund home and community based services that help older persons to remain self-sufficient. Examples include assisted transportation, chore, homemaker, personal care, legal assistance, legal education and home modification services. 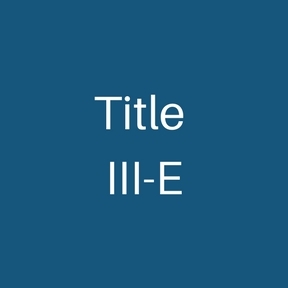 Title III-C funding is used to administer the Older Americans Act Elderly Nutrition Program (ENP) services through AEOA. The ENP helps older adults remain independent and in their communities. Meals must meet nutritional standards by incorporating the Dietary Guidelines for Americans and providing a minimum of one-third of the Dietary Reference Intakes (DRIs). Meals must also meet the Nutrition Services Incentive Program (NSIP) requirements. The Congregate Nutrition Program (Title III C-1) addresses dietary inadequacy and social isolation among individuals aged 60 and older. The Program provides nutrition education, nutrition risk screening and, in some Planning and Service Areas, nutrition counseling. The program targets older individuals with the greatest economic or social need, with particular attention given to low-income minority older individuals and older individuals living in rural areas. The program encourages the use of volunteers and gives all participants the opportunity to contribute to the meal cost. The Home-Delivered Nutrition Program (Title III C-2) provides nutritious meals, nutrition education, and nutrition risk screening to individuals 60 years of age or over who are home bound by reason of illness or disability, or who are otherwise isolated. Program goals are targeted to the reduction of social isolation and the promotion of better health through nutrition. Most home-delivered meal programs provide their clients with a hot meal five days a week delivered by staff or volunteer drivers. In addition, nutrition education is provided and nutrition counseling may be available. 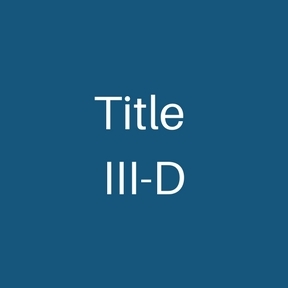 Title III-D services funding can be used to fund evidence-based health promotion programs, medication management and screening, mental health assessment/screening (fundable under health assessment/screening) and home injury control services. Are older caregivers with the greatest social and economic need with particular attention to low-income minorities. Are caring for care recipients who are older individuals with the greatest social and economic need who are not yet eligible for the Elderly Waiver and Alternative Care programs, with particular attention to low-income minorities. Provide care for older individuals with Alzheimers’ Disease or a related disorder with neurological and organic brain dysfunction.